Support Pasco Teachers: Down with Washington’s Slave-Labor Law! SEATTLE, Washington – Schools here remain closed today, Friday, September 11 on the fourth day of the strike by public school teachers, the first in 30 years. 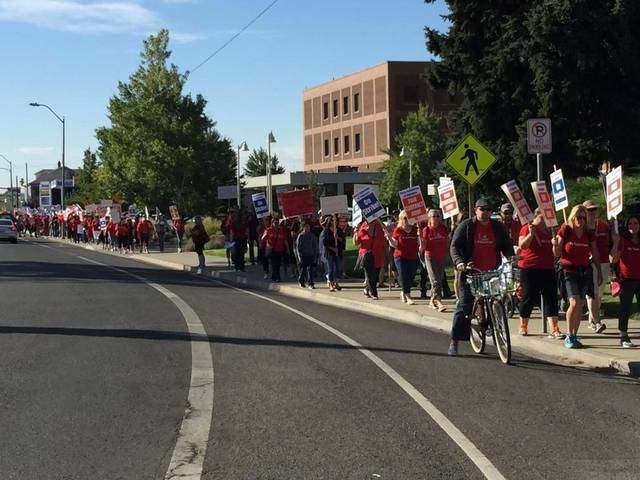 While the Seattle strike has grabbed national attention, teachers in the southeastern Washington city of Pasco have been on strike since September 1, and are still out in defiance of a court order. As in public schools across the country, teachers have been squeezed by low wages, lack of basic classroom supplies including textbooks, overemphasis on standardized testing, and a dictatorial administration that will not allow teachers, parents or students any input in curriculum development. Pasco, WA teachers voted overwhelmingly in August to strike. Pasco is the largely immigrant city where Antonio Zambrano Montes, a Mexican agricultural worker, was shot down in cold blood by police last February. On Wednesday, the Franklin County prosecutor outrageously announced that no charges would be brought against the cops who gunned down the unarmed Zambrano in a hail of 17 bullets, despite cellphone video recording of the murder seen by millions. However, there may still be a coroner’s jury hearing. 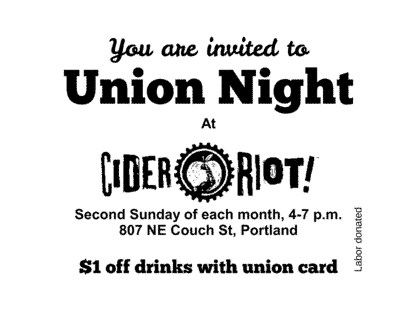 Class Struggle Workers – Portland and the Internationalist Group have actively supported protesters in Pasco, who have been hit by a number of arrests. A CSWP fundraiser was held in July to raise money for their defense. A demonstration against this racist injustice will be held in Pasco tomorrow. Pasco and Seattle teachers are fighting for decent education for their students, and are now standing for the fundamental freedoms of all workers. They must have the support of working people and the labor movement throughout Washington and the country. Smash the slave-labor law! Victory to the teachers! Pasco teachers continue strike on September 8 despite injunction. Contributions and messages of solidarity should be sent to the Pasco Association of Educators, 2318 W Court St, Pasco, WA 99301.